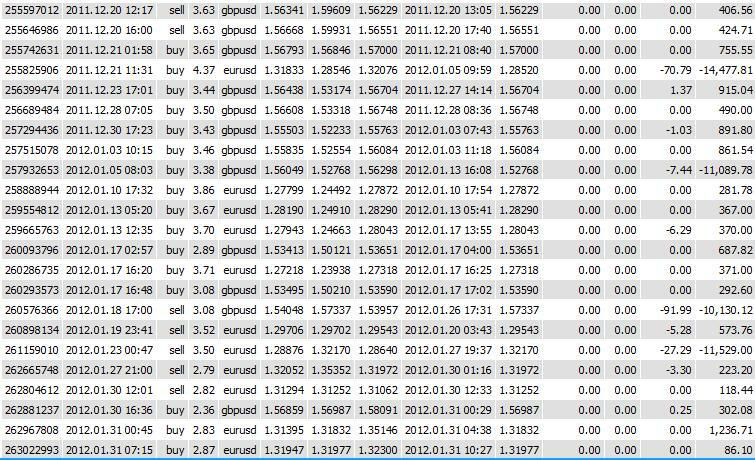 Forex over drive here trades GBPUSD and EURUSD currency pair. With money management as the trades lots open buy/sell depending on the account balance. The trades executed at 24 hours without any time duration show it is using trend charts to execute the triggering of trades. 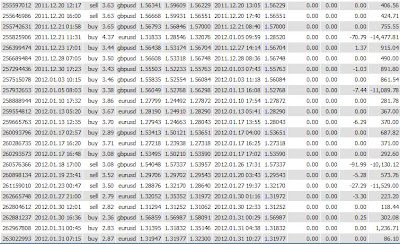 The winning profits pips range from 6 to 20 pips with stoploss at 300 to 330 pips. A higher winning ratio of more then 90% is required as the win pips to loss pips ratio is at 1:30. The S3 grading scores of 190 points remain unchange for Forex Over Drive. No further review is required for now.